Clifford R. Strider, III, graduated from East Jefferson High School, Metairie, Louisiana, in 1969. He lettered in wrestling three years, placing third in the state championships in his junior year and winning the state championship his senior year. He was also the captain of the wrestling team his senior year. After graduating from high school he attended the University of Southwestern Louisiana where he was a starter as a freshman on the wrestling team. Cliff transferred to LSU after his freshman year in college. While at LSU he coached the Baton Rouge High School wrestling team. Under his tenure at BRHS he coached two state champions. Cliff has officiated wrestling since 1969, his freshman year in college. He has participated in officiating 37 state championships. 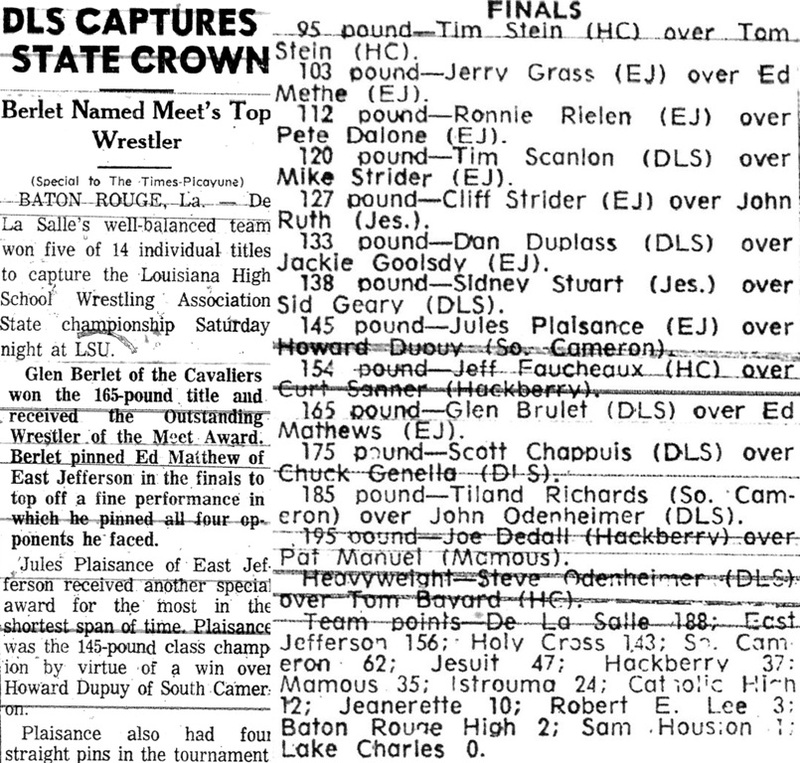 Since 1986 Cliff has been the head official at the Louisiana State High School Wrestling Championships. In addition to his duties as a referee, Cliff has been a rule interpreter for the Louisiana High School Athletic Association since 1986 and has conducted the annual rules clinics for coaches and referees since that time. At various times Cliff was the assignment secretary and head of the area officials' association in New Orleans and Baton Rouge. In addition to his officiating at the high school level, Cliff officiated NCAA wrestling from 1976-1984. In 2000 Cliff was chosen as Louisiana's "Wrestling Man of the Year" by Wrestling USA Magazine. Cliff received the Wayne Schmidt Memorial Golden Whistle Award in 2004. In 2005 Cliff was awarded the Distinguished Service Award by the LHSAA for his contributions to the sport of high school wrestling.